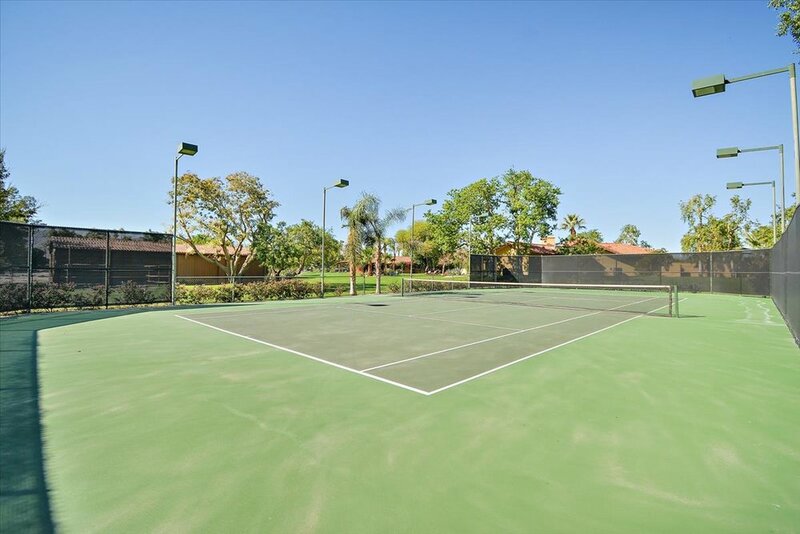 This South facing estate with its Old California charm features a main house with open floor plan, detached casita w/full kitchen, newly resurfaced tennis court, 4 stall barn and horse corral, recently resurfaced pool and spa, and 3 car garage with a lot of additional parking. Most all of the rooms including the bright and light kitchen with butler’s pantry, breakfast room, dining room, den, living room w/fireplace, bar, master suite w/fireplace & exercise room, & casita all have great panoramic views out of large windows and French doors. Great entertainer’s home, with 5 bedrooms to fit your family and friends every need. The large casita is perfect for guest’s privacy as it’s truly a small home. Centrally located, the Polo Estates are close to world-class golf, tennis, equestrian facilities, hiking, biking, shopping, dining, theaters, and all that the desert has to offer. Why not contact Sheri Dettman & Associates today to view this Polo Estates home, or any Palm Springs area property!